Bottom-dwellers that live in fresh and brackish waters. Prefer deep, slow-moving pools and channel waters with a clean bottom. Found in the upper Chesapeake Bay and large streams, creeks and rivers throughout the Bay watershed. Also found in lakes, ponds and reservoirs. The channel catfish is a large, smooth-skinned fish with a bluish- or greenish-gray body and whisker-like barbels around the mouth. It lives in fresh and brackish rivers throughout the Chesapeake Bay watershed. The channel catfish usually grow to about 2 feet in length, but can be as long as 4 feet and weigh more than 50 pounds. They are smooth-skinned, with a bluish- or greenish-gray body, a silvery white belly and olive fins. Small, dark spots are scattered across its sides; these spots may disappear as the catfish gets older. 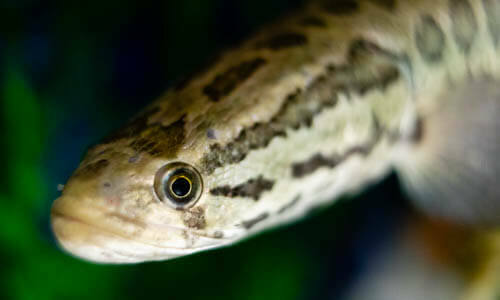 Four pairs of light, whisker-like barbels appear around its mouth. Its tail fin is deeply forked. 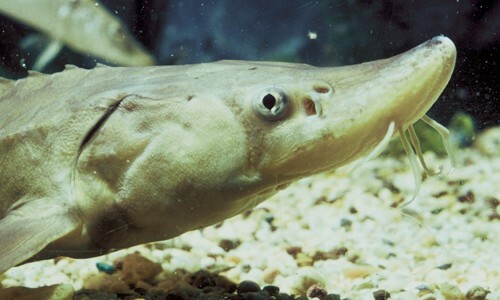 Bottom-feeder, channel catfish eat algae, insects, mollusks, crustaceans, crayfish and other fish. They uses their long barbels to taste for prey. Larger fish may prey upon adults and young. Young are also eaten by fish-eating birds. 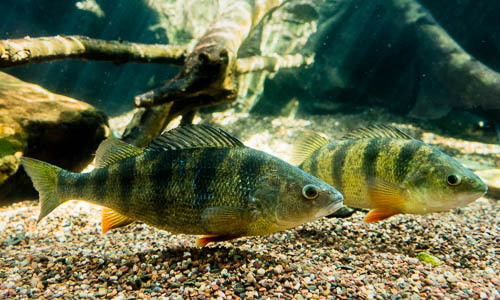 Spawning occurs from late May through July, once water temperatures reach 75 degrees. Channel catfish move upstream to spawn. The parents build a nest in a dark, protected area such as under a rock or inside a hollow, submerged log. The female lays pea-sized eggs, which the male guards. The eggs hatch in 7-10 days. Young catfish form schools after hatching. The male often leads and guards the schools. Channel catfish can live as long as 14 years. Channel catfish are not native to the Bay watershed. They are a popular recreational catch. The Maryland state record channel catfish was caught near Mattawoman Creek and weighed 29 pounds, 10 ounces. Catfish have poor eyesight, so they rely on their sensory barbels to find prey.